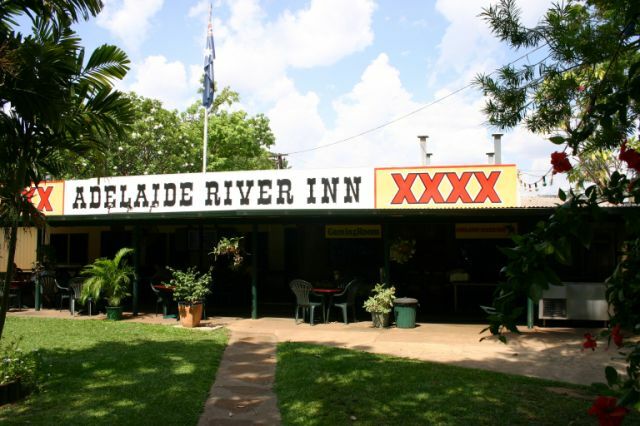 Adelaide River Inn Top NT Pub. 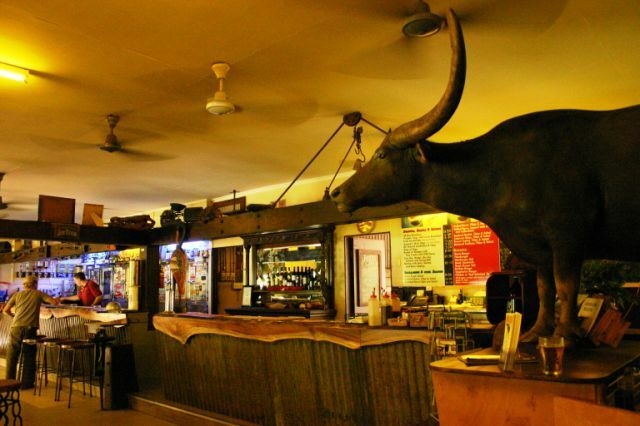 112 kms SE of Darwin.Home of Charlie the Buffalo from the Crocodile Dundee Movie. Charlie the Buffalo of Crocodile Dundee Fame. Photo courtesy Dominic Giezma. Many Thanks. Adelaide River was the location for 30,000 soldiers during WWII. Location of Charlie the Buffalo from the Crocodile Dundee Movie at the Adelaide River Inn. Located on the Stuart Highway.